We were so busy drinking that we failed to post any cocktails! Well, the big winner this season included pumpkin puree and Rum Chata. Rum Chata is a creamy rum liquor. In and of itself, it sounds pretty gross, but in this drink it is a hit. This type of drink seemed to be everywhere, in fact there were several pumpkiney vodkas out there. 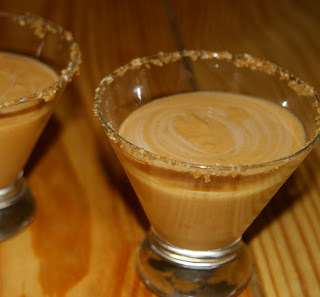 Most of the time they were called Pumpkin Pie Martinis, though they are a little off the martini mark, unless you like your martini for dessert. Around the Bun Pit we will take our drinks for any course. Crumble some graham crackers or a nice ginger cookie and rim your glass. Drinking dessert is a wonderful thing! Since pumpkin cake is a favorite here and since there is always a bit of puree leftover from cake baking, this drink proves to be the saving grace of leftover pumpkin puree. There is the problem of finding and making new and cutting edge drinks. Many a pumpkin martini recipe called for Rum Chata and some called for pumpkin or vanilla vodka. So if one wanted to try their hand at a Pumpkin Pie Martini they looking at probably $50 worth of booze they might never use again. And what happens of you don't like the drink? This brings us to another holiday item -- the "of the month club" subscription. Fill in the fruit or meat of your choice. These are tricky yet tempting and one usually has to pony up the entire years cost for such an endeavor. At $300 to $500 "fruit" you have never laid eyes on is a bit daunting. What if there was a "club" that let you pay as you go? What if this club was not fruit nor beast but nifty new cocktails? Cocktails you could try BEFORE you invested $$$ in some new flavor of vodka you might never want to drink? Rejoice. We have found the answer to cutting edged cocktail without breaking the bank. 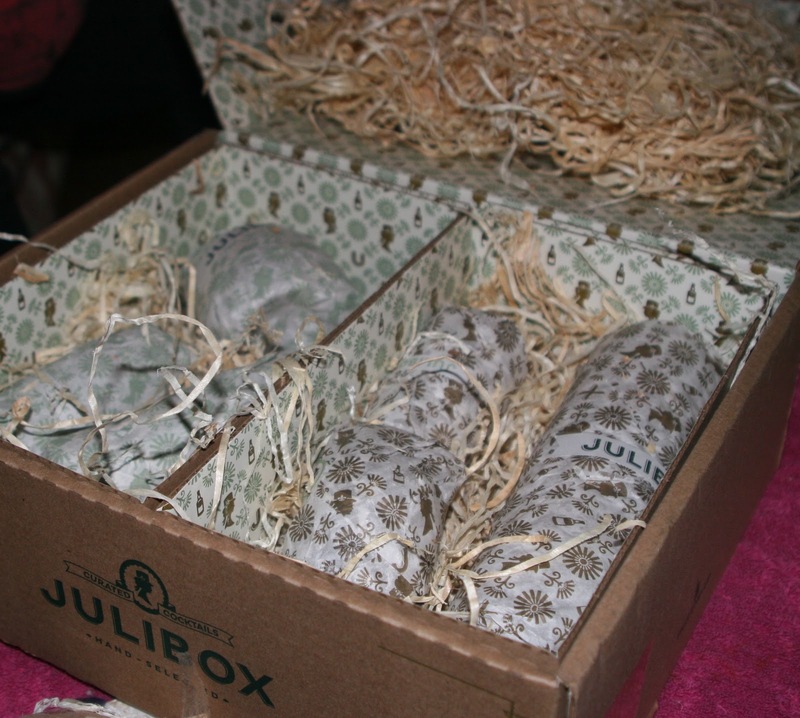 Enter Julibox. Julibox is a monthly curated cocktail. 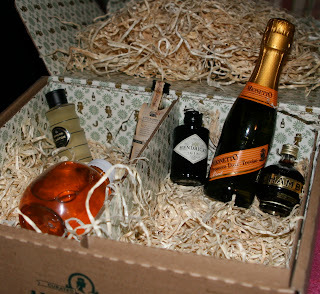 Each month a box arrives with cocktail fixins' for two different drinks. The design and execution of the box are flawless. There are cards with the recipe. And liquor and mixes for each cocktail. You will need some ice and maybe a lemon. When we first laid eyes on this new venture, we were skeptical. 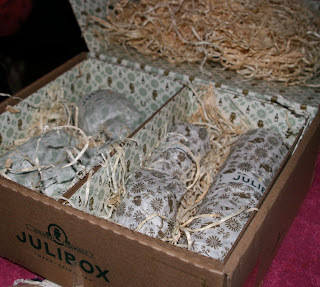 So we tried out the service by ordering their October 2011 Breast Cancer box. We loved it so much we signed up! Now here is the good part -- you get billed monthly so you are not out of pocket $$$$ from the start. You can run a tab, just like in a real bar! The boxes run about $40, about the price of a round of cocktails. 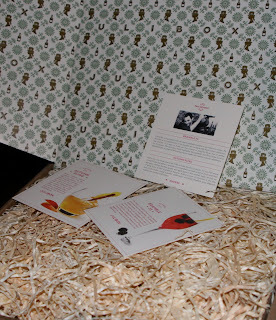 The founder, Courtne Jones says she, "grew up with a dusty bottle of Galliano on her dad's back bar. 25 years later, he still has it." We all know that story! HI, I enjoyed reading and I'm looking forward to visit again. Thanks.